Well, that Angry Birds movie is going to come out in a few weeks, so the time has come for Rovio's latest promotional vehicle to launch. Angry Birds Action! appeared in the Play Store as a geo-limited beta a few weeks ago, and now it's live for everyone. What's it like? It's a mix of pinball, classic Angry Birds, and desperation. I kid, sort of. There are eggs that need to be saved in each level, and you do that by running into them with the classic slingshot mechanic. You bounce around, things explode, and eggs are saved. I'm not sure how this saves them, but it does. Like Angry Birds 2, Angry Birds Action! is heavily monetized with in-app purchases. You have stamina, which needs to recharge over time. You can get more immediately by paying money, watching ads, or pestering your friends on Facebook. Lovely. 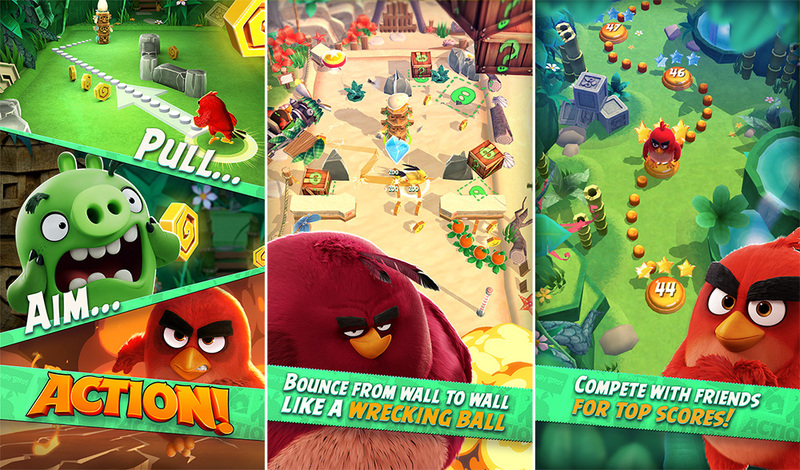 Rovio's big selling point for this game is the real world integration. There are "BirdCodes" on items like toys, clothing, food, and so on. You scan them with the game, and that unlocks extra content and power ups. If you go see the Angry Birds movie on opening weekend on May 20th, the audio playing during the credits (an "inaudible digital watermark," they say) will unlock special levels and an extra scene from the film. You have to have the game running at the time, though. Rovio lost almost $15 million last year as interest in the Angry Birds franchise continued to decrease. It's counting on the movie to get things back on track. If that doesn't happen, the future of the Finnish company is very uncertain.